AggMax logwasher on an iron ore mining project. DERMOT MURPHY, strategic projects manager at CDE Mining*, focuses on what approach mining companies should take to improve the efficiency and sustainability of mining operations. The mining industry across the globe is facing a challenging time and in an environment like this, it is no surprise that mine efficiency and sustainable mining are two of the most often discussed subjects. In considering how we improve the efficiency and sustainability our mining operations what should we be doing? 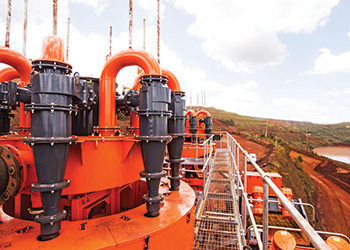 CDE Mining’s approach with its customers is first to conduct a holistic review of the entire ore processing system to establish where specific inefficiencies exist that we can help to address. This involves conducting a detailed process audit with customers to gain a specific understanding of where the current pain points are within the system. CDE is then able to design a process improvement package that tackles all of the pain points and results in the efficiency of the operation being greatly improved. This process audit is focused on a number of areas. The first of these is ‘maximising yield’. This process involves a detailed look at the feed material to the processing plant and an analysis of the current final products. The work CDE has done with its existing mining clients has demonstrated that this process allows the company to establish whether the cut-off grade can be reduced which has the effect of increasing the volumes of material available for processing. A reduction in the cut-off grade is made possible by the introduction of processing systems which help to reduce contaminant levels in the ore being processed. In relation to iron ore, this applies to silica and alumina contamination as well as ensuring the efficient removal of fine silts and clays from the feed material. This first process contributes to the second area of focus – waste reduction. By facilitating the production of lower grade ores, we are not only able to reduce the volume of material sent to waste stockpiles but the knock-on effect of this is to reduce waste handling costs and the space required for the storage of waste material. While this approach requires investment in new processing technology, the return on investment makes this an attractive proposition for existing operations seeking to reduce costs and improve the sustainability of their mining operation. The first stage in the process is to engage with CDE Mining to complete the process audit. This will allow the company to establish the nature and extent of the efficiency improvements that it can offer and these are fully quantified as part of its detailed process review. * CDE Mining is the division of CDE Global that specifically focuses on the global mining market. CDE Global was founded in 1992. Over the last 22 years, it has grown to be recognised as a leading supplier of washing equipment for quarries and mines on the global market. 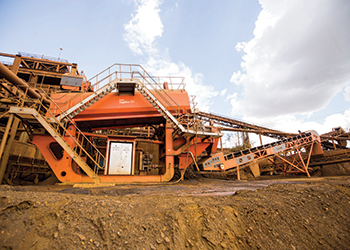 CDE’s equipment has applications across a wide range of materials and is delivering significant efficiencies in the construction and recycling, mining, specialist industrial sands and environmental sectors. The company’s staff has wide experience in the design and execution of tailor-made materials washing plants which allow clients to extract maximum value from their material. 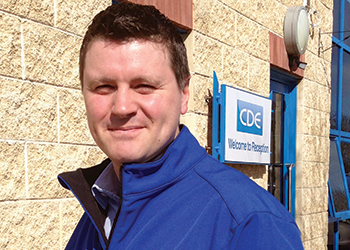 Construction sand and aggregates, glass sands, foundry sands, specialist sports sands, iron ore processing, removing clay contamination, fines recovery, water treatment and recycling and tailings management are just some of the services CDE can offer.